This practical two day course – Monday 3rd and Tuesday 4th of December 2018 from 9.00-17.00 (13 hours of CPD), introduces mediators experienced in other fields to the problem of workplace disagreement and conflict. Participants will learn about the causes of conflicts to watch for, how to adapt their mediation styles, the use of written communication and other techniques over two enjoyable, interactive days with opportunities to practice their newfound skills. This session will be facilitated by Carol Hope and Jeremy Scuse (see below for biographies). Price includes course hand outs, lunch and refreshments. • Legal Context – The 2008 Employment Act has changed the environment for mediation – how does this affect the mediator, what advantages and drawbacks does it create? • The Organisation – How does it respond to conflict? • HR Managers – Are slowly understanding that mediation could help. As a mediator what approach should we adopt with them? • The Disputants – Do managers in a dispute differ from anyone else in conflict – what motivates them, who advises them, how important is ‘face’, and how important is it to follow procedure? 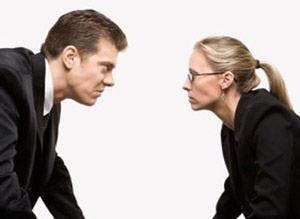 • Workplace Conflict – So, how do workplace conflicts differ from those between neighbours or within families? • Transformative or Facilitative – The mediators objectives: what realistic outcomes can be expected from a workplace mediation? • Mediation Format – Many workplace conflicts will have taken years before the mediator is involved. So how might we adapt our mediation styles to cope with long embedded conflict? • Written Communication – Many workplace mediations take place over several meetings, sometimes weeks apart. What sort of written communications between the mediators and the individuals can help the process? Carol Hope is an award winning freelance mediation trainer and supervisor. She was the Director of Family Mediation in Edinburgh for 16 years during which time she developed a number of new services locally and nationally in Scotland. Carol then went on to work for the Scottish Mediation Network for 10 years. Her remit was to develop mediation training and practice for all types of mediation in Scotland. Her 20 years mediation experience spans commercial mediation, family, housing, additional support needs, equalities, workplace, and peer mediation. Carol has trained over a thousand children to be peer mediators, nationally and internationally and was the key note speaker at the second international peer mediation conference in Macedonia. She recently received an award for her “Outstanding achievement and contribution to peer mediation in Scotland.” Carol is one of the RICS trainers delivering mediation training nationally and internationally.